The players represent CEOs of mighty power companies producing electricity. During the game, the players bid for power plants at auctions and supply them with resources. Their income depends on the amount of electricity produced in each round. At the end of the game, the player who produces the most electricity wins. 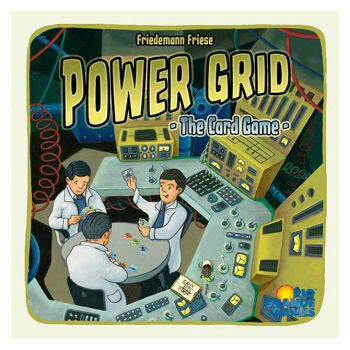 Power Grid: The Card Game offers all the tension and tactics of its two well-known big brothers, Power Grid and Power Grid Deluxe, without using the different maps. You get the full Power Grid emotions in an intense 60 minutes playing time! Much like Power Grid Deluxe, it includes a two-player version of the game where players play 'Against the Trust'.